This quaint and classic duplex, with en-suite bathrooms on each floor is ideal for families or a group of friends, and roomy enough for an extra cot. 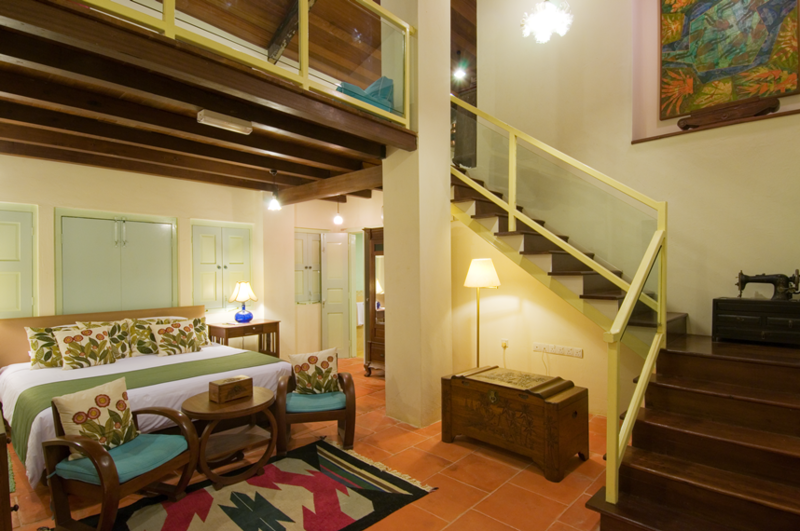 The room downstairs has a large King size bed while upstairs are 2 single beds, or can be converted to another King size, depending on your preference. Decorated in marzipan colours, this little Shop House oozes the charm of old George Town and is furnished in deco style vintage furniture, with appliquéd cushions in bright splashes of colour. 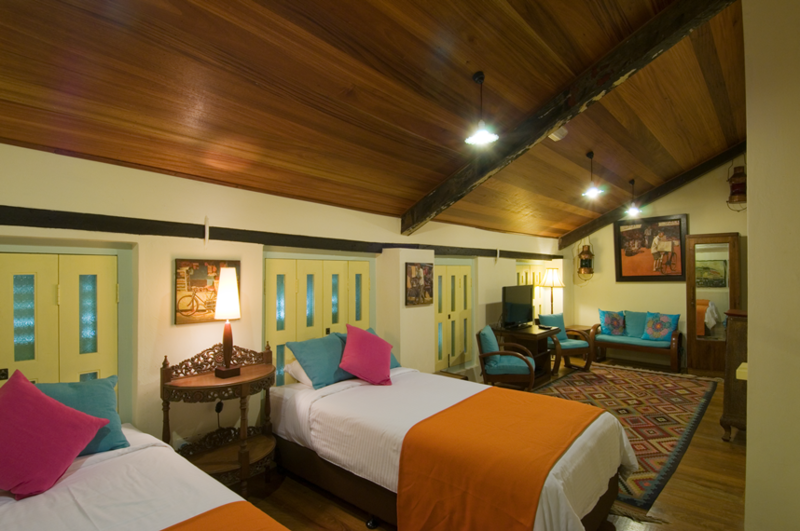 With its own verandah overlooking the garden, the Indian Shop House offers ample space for a family to relax and play.